I mean that literally, not proverbially… life is actually pretty good around here, however it’s well and truly time that I got creative with some recipes for the glut of Meyer Lemons that my 3 little potted trees have produced this year. Since fully ripening, they’ve been waiting patiently in the fridge for the past couple of weeks, until I could find the time to make something wonderful with them. Not just one thing wonderful, but four different delights that can be created in next to no time. The kitchen has truly smelt amazing over the past couple of days, with the scent of lemon zest and juice lingering in the air. Place eggs, sugar, lemon juice and zest into a large heat-proof mixing bowl and whisk well to combine. Sit the bowl over a saucepan of simmering water (not allowing the base of the bowl to touch the water). Continue to whisk from time to time, as the mixture thickens. When it reaches the stage that it will coat the back of a wooden spoon, remove from the heat and little by little, add in the chunks of butter, continuing to whisk as you go, until it is all incorporated and the mixture is smooth and curd-like. 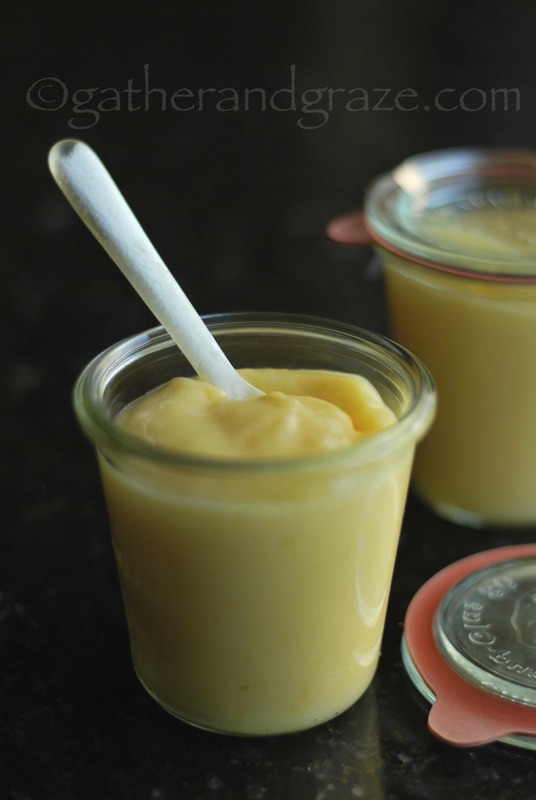 Scoop the lemon curd into sterilised glass jars and keep for up to 3 weeks, refrigerated. Spoon lemon curd into a shortcrust pasty shell to make a ‘Tarte au Citron’. Layer lemon curd and softly whipped cream to make an easy dessert. Top with some crushed shortbread/biscuits for a little crunch/texture. Slather over hot sourdough toast, freshly made scones or pancakes. Top a pavlova with lemon curd and fresh berries. Use to make a creamy, zesty ice cream/gelato. 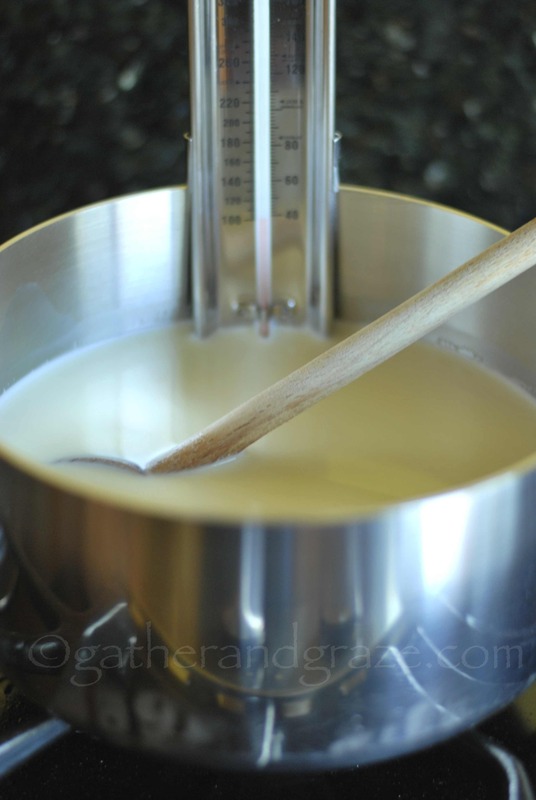 Place the milk, cream and salt into a medium sized saucepan and place over medium low heat. Stir regularly as the mixture gets frothy on top and comes almost to a boil. Remove from the heat immediately, pour in the lemon juice and give a gentle stir to combine. Let the mixture sit (without any further stirring) for about 10 minutes. You will find that curds have formed and the whey (thin watery liquid) will be beneath. Sit a fine mesh strainer/sieve (lined with a damp piece of muslin/cheesecloth) over the top of a deep mixing bowl. Pour the mixture into the sieve, allowing the whey to drip through into the bowl beneath. You may need to discard some of the whey that’s collected in the bottom of the bowl from time to time, if it becomes too full. Allow the curds to drain like this for about half an hour, until it reaches your desired consistency. The longer you leave it, the thicker and drier it will become. Ricotta has many uses, but I enjoyed my first couple of spoonfuls, slathered over some crusty sourdough slices, with a little lemon zest sprinkled over the top, seasoned with freshly ground pepper and salt and a drizzle of Extra Virgin Olive Oil. The rest will be set aside in the fridge, to make Spinach and Ricotta Cannelloni tomorrow evening… hopefully another post in the making! Not really a recipe, but well worth mentioning! Place the salt and lemon zest in a small mixing bowl and stir well to combine. Allow to sit for a couple of hours for the zest to dry out a little, then store in an airtight jar, until required. Use as a finishing salt or sprinkle over potatoes/vegetables before roasting in the oven. 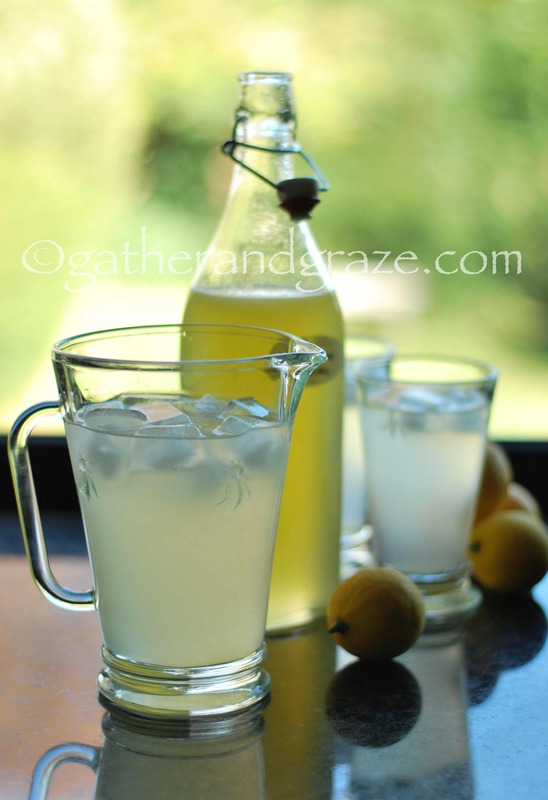 Please visit my friend Sandra of ‘Please Pass The Recipe’ for this fabulous recipe that I used for her Mum’s Lemon Cordial. We’ve already tried and tested the cordial with soda water and still water and it’s totally delicious… though in Sandra’s Lime Cordial version, she suggests mixing 2 parts cordial with 3 parts gin and adding a twist of lime to create a ‘Gimlet’. Sounds even better to me! Love how you got creative with the lemons from your garden! looks like a great harvest! I have a soft spot for lemon curd. The lemon sea salt is a great idea! How about making some preserved lemons if you still have more lemons on your end? very interesting ideas with lemons. I love citrus and will definitely try these out! Thanks for sharing the recipes! Mh well, I would say that when life gives you lemons you should count yourself lucky! I’m sort of torn among your amazing recipes… I love them all a lot! Very lucky indeed Margherita! So pleased that you liked these different recipes! Lemon recipe medley! The curd, ricotta, lemon salt and the lemonade (I don’t drink alcohol), I love it all. What caught my interest the most is the ricotta. I have never made home made, but next time I get some lemons from friends who share from their lemon tree, I am going to give it a go! I think we should always accept what life gives us and make the best out of it! And you did a marvelous job with those gorgeous lemons! That curd is simply stunning! This is a perfect post Margot! I love your range of uses with your meyer lemons. Don’t think we can grow lemons here in Seattle, but I’d sure love the appearance of a lemon tree (or three) out back! Looks like you were given a nice healthy harvest. Your 3 little lemon tree’s are generous, you must treat them well. 🙂 Love the idea of meyer lemon salt! This is a treasure of a post. Hi Margot, great post on lemons with beautiful photos. The lemon curd would also be great to stuff macarons with. The ‘tarte au citron’ sounds great — I’ll have to try that. 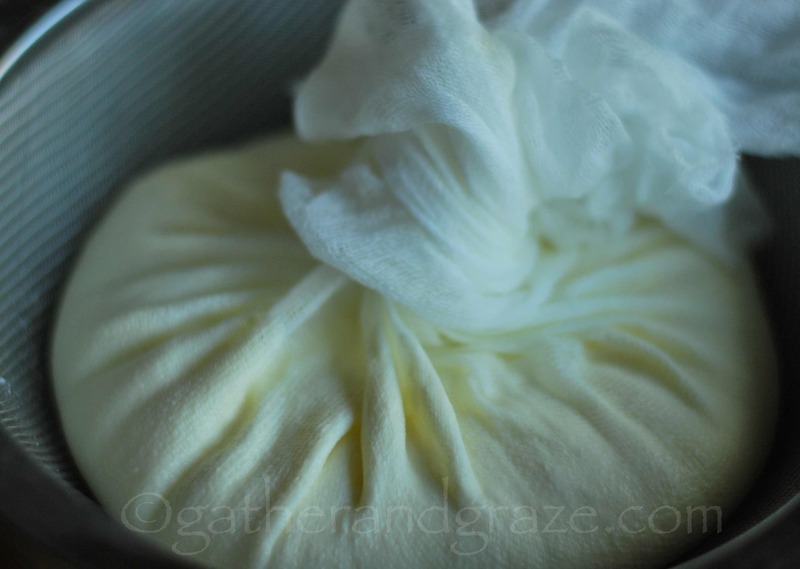 I love to make my own ricotta. It is indeed best with the addition of cream. But wait, don’t discard the whey! It is very nutricious and a very refreshing drink. Just mix it with fruit juice, or, even better, amarena cherry syrup or other syrup from canned fruit (e.g. pineapple). And of course you could make your own limoncello (recipe on my blog if you need one), which is so much better than store-bought. Thanks for your lovely comment… so pleased you enjoyed this post! My biggest treasure in my tiny little garden is my Meyer Lemon Tree. Your recipes come in handy, I love the idea of making lemony sea salt. Gotta ask! How tall are your lemon trees? You do state that they’re little. Yet there’s so much fruit. I never mentioned, but last autumn, whilst making jam, the lemons I was using had been in (supermarket) storage for so long several seeds had sprouted (something I’d never seen before). So I popped a couple in a pot by the window and one of them survived. 😉 Okay, it’s still less than 15 cm. Still, it’s the start of my lemon grove, don’t you know. 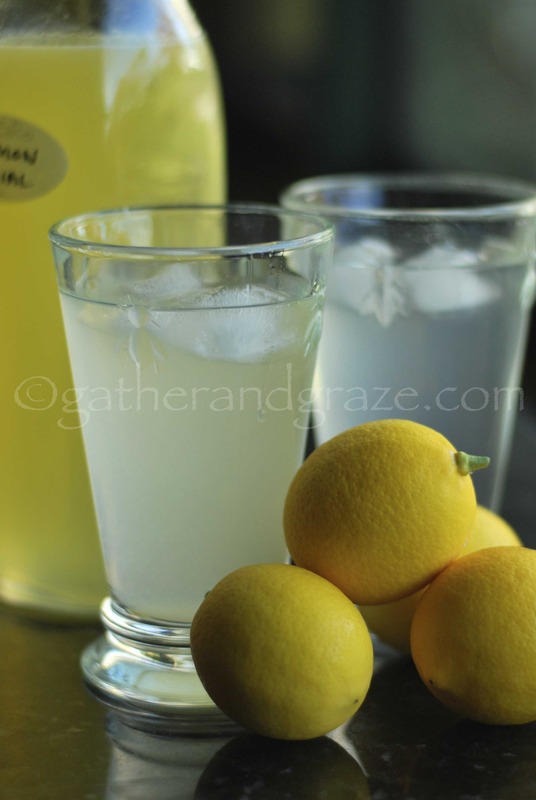 Loving those photos of the lemonade! And all of the recipes. I have 3 Meyer Lemons, which have been placed in the biggest pots I could find – the biggest tree is about 1.2m tall. The harvest really was amazing and there’s still quite a few more on there that haven’t been picked yet, though I probably shouldn’t have let so many lemons grow on them this year, most of them were on the small side and the trees themselves are not as leafy as I would like (all the energy going into producing fruit). Thinking that it might be wise to give them a bit of a rest next year and only allow a certain number of lemons to grow. Can’t wait to hear if your little lemon flowers and fruits one day – that’s exciting! Absolutely gorgeous Margot. Thanks for sharing all these great recipes, I will definitely try them all! 🙂 Have a wonderful weekend. So pleased to know that you liked them all Linda! I can’t stop eating the lemon curd – it was my dessert last night and my breakfast this morning! 😀 Hope you have a fabulous weekend too. 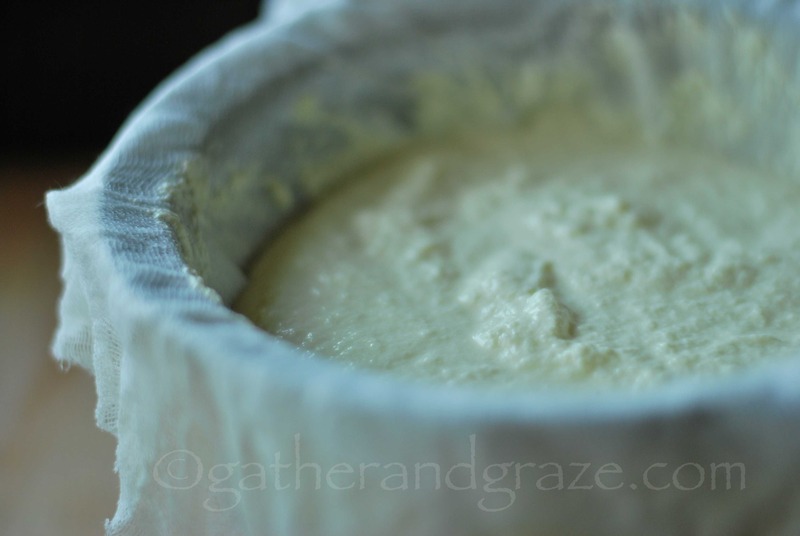 Great post on Ricotta. I will have to make it this weekend. The lemon salt looks tempting as well. I will update you anytime I try one of your recipes. Have a nice and relaxing Sunday. Lovely lemony post! Thanks for the kind words and link back, my Mum would be thrilled that her humble lemon cordial recipe was getting around! I will make your lemon salt for sure. I use loads of lemon zest, I love the way it adds freshness and a pleasant zing, but with salt mmmmmm. It’s a beautiful and refreshing cordial Sandra – so pleased that you posted it! I’ll be making it for our family every year from now on. Looking forward to using the lemon salt… I imagine it will go quite nicely on fish/seafood as well. Hope you enjoy the long weekend! 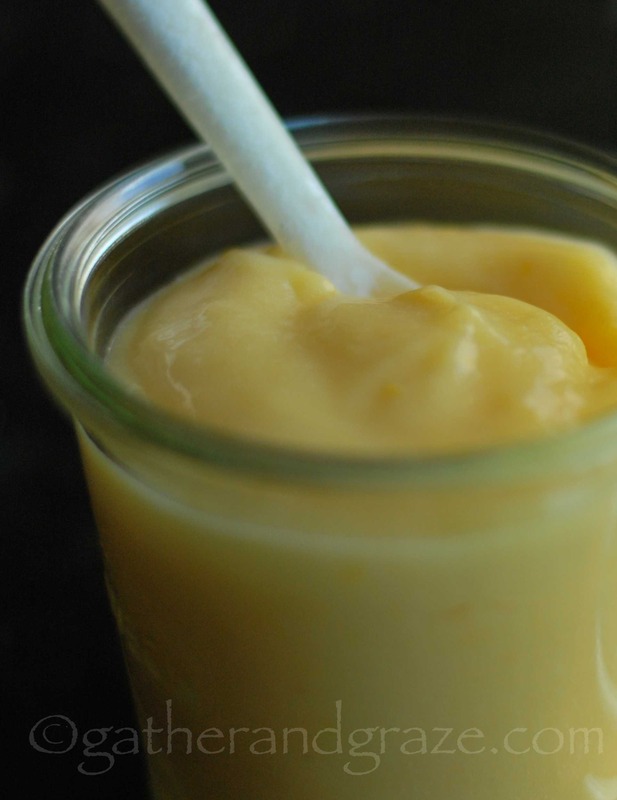 Some wonderful ideas here – I love lemon curd and I especially love the idea of the lemon salt! You wouldn’t believe how timely this post is as we’re getting ready to head back to England from Spain and picked all the lemons (well, half to be honest) from our tree. They’re still green but they will ripen in the next few weeks and we have kilos and kilos of them! How lovely that you’ve been able to pick so many of them and take them back with you… I’ll have to keep an eye out for any upcoming posts that highlight them, as we still have a few left on the trees. Hope you’ve had a fab time back in Spain! Seems to have gone rather quickly… or is that just me? Safe travels Tanya. Hopefully you’ll get to go back later in the season to soak up some more warmth and sunshine and relax a little more!